Certified Material Testing Products features the largest selection of industrial ovens and industrial furnaces for sale in our listings below! 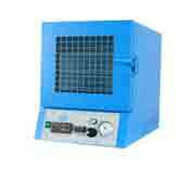 Browse our quality bench ovens, lab ovens, muffle furnaces, and the right choices to buy vacuum oven for your lab. Whether you have a big or small application, our superior performance industrial ovens and furnaces are perfect for a wide variety of lab and testing applications. 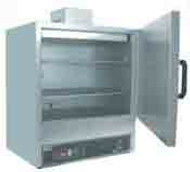 Lab ovens are often an integral part of production as well as the scientific testing process. Industrial ovens and furnaces are utilized across several fields for a range of uses: baking and annealing, evaporation, sterilization, drying, and especially for the powder coating process. 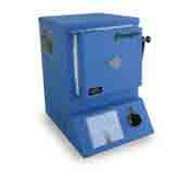 Certified Material Testing Products carries excellent models of industrial ovens and furnaces to meet your heating needs as well as a small vacuum ovens for sale. Our bench ovens bring unprecedented accuracy and convenience. 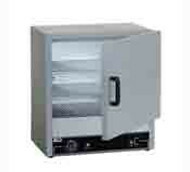 We carry industrial ovens heated via convection and brick-lined furnaces. 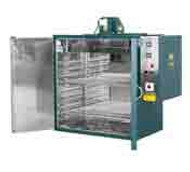 And all of the lab ovens at Certified Material Testing Products are state-of-the-art. 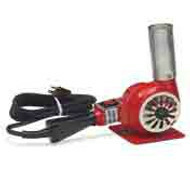 We also carry essential accessories like heat gun dryers, heat resistant gloves, and beaker tongs. 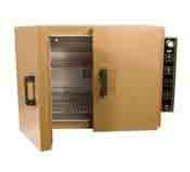 The Grieve Large Capacity Industrial Bench Ovens offer an incredibly high capacity at an affordable price. 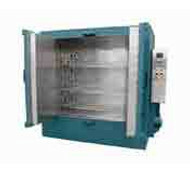 With interior dimensions ranging from 15 cubic feet to 36 cubic feet, these Grieve industrial ovens include explosion-venting latches, rubber gaskets for the door, and built-in baffles that prevent radiant heat. If you are curious about our lab ovens, bench ovens, muffle furnaces, and the small vacuum oven, browse our selection of ovens and furnaces, or contact us with your questions.